Earlier this year, civil rights groups sued Delaware over education funding for low-income, disadvantaged students. In this blog, we’ll break down what you need to know about property reassessment in Delaware. 1. What does property reassessment have to do with education? About 27 percent of all public education funding in Delaware comes from property taxes. Three-quarters of those property taxes collected go directly to districts, which have the flexibility to spend these dollars on new buildings, teachers, and educational materials. Many of these resources are used to keep up with increasing enrollment and costs of operations, salaries, and programs. Property taxes are levied based on a percentage of the most recently assessed value of the property. 2. What is the impact of outdated property reassessments? Property values—including home prices—are obviously not static. We know that market values can fluctuate widely over time. Without regular reassessments, the burden of taxation may be unequally distributed. 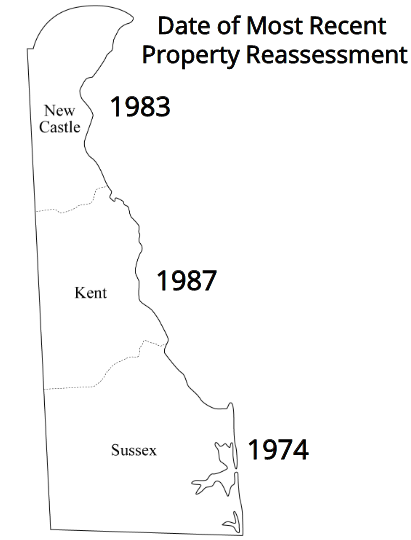 For example, in Sussex County, property taxes haven’t been reassessed since 1974. At that time Seaford had significant industry and some wealth, while the beaches were not the destination they are today. The unevenness hits taxpayers and schools alike. 3. When were the most recent property reassessments in Delaware? 4. 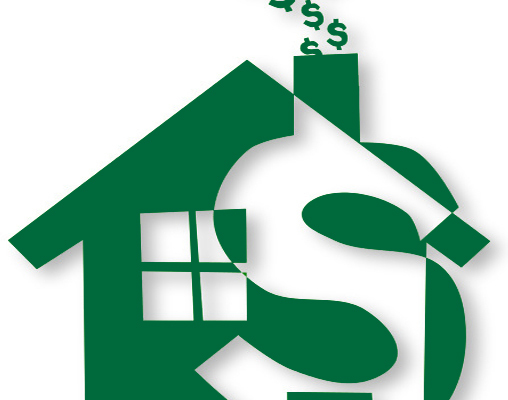 What is the law regarding property reassessment? State law requires that tax assessments be based on the actual value of property and charges the counties with inspecting property to adjust valuation. (Delaware Code Title 9, Chapter 83), but there is no state policy in Delaware establishing how often reassessments must take place. 5. How do we compare nationally? As of 2010, Delaware was one of nine states that did not have state provisions for when reassessments take place. Most states follow an annual to five-year schedule. 6. What solutions has been proposed in Delaware? Many groups in Delaware over the years have proposed rolling statewide reassessments, such as the Vision Coalition, Wilmington Education Improvement Commission, and LEAD Committee. The 2008 Legislative Task Force on Property Tax Reassessment put forward detailed recommendations for how to implement consistent, rolling reassessment. They recommend a 10 percent cap on annual revenue increases that is consistent with the current language in Title 14 of the Delaware Code. 7. So what have been the barriers to change? Political will has been cited throughout the years as a barrier. With updated, accurate property tax rates, some homeowners could wind up paying more—though others could pay less or experience no change—and few politicians want to be on the hook for raising their constituents’ taxes. Additionally, the cost associated with training and manpower needed to reassess properties could land anywhere between $20 million to $40 million according to a 2007 New Journal article. However, in other states, legal action has successfully catalyzed change. 8. What case is being made in the lawsuit about property reassessment in Delaware? 9. What is the status? According to the ACLU website, “On October 5, 2018, the Court of Chancery decided that part of our case should proceed on its merits and struck down the defendants’ motion to dismiss. A decision has not yet been made about the other portions of the lawsuit. See additional news coverage here and here. Recently, the City of Wilmington asked to join as a plaintiff on the lawsuit. The next expected step would be for the court to make a decision on the City of Wilmington’s request, and to establish a schedule for the remaining steps leading to a final decision.